You’re not seeing double. This is another DuckDuckGo article. In the previous post, it was announced that the “!pho” bang was available. While “pho” is short for “Photics”, it’s also a vietnamese noodle soup. That might get confusing. 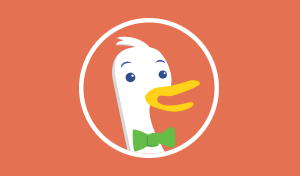 Fortunately, this site now has more than one DuckDuckGo bang. Now you can use “!photics” or “!pho” to quickly search Photics.com from the DuckDuckGo website or from a DuckDuckGo powered search bar.